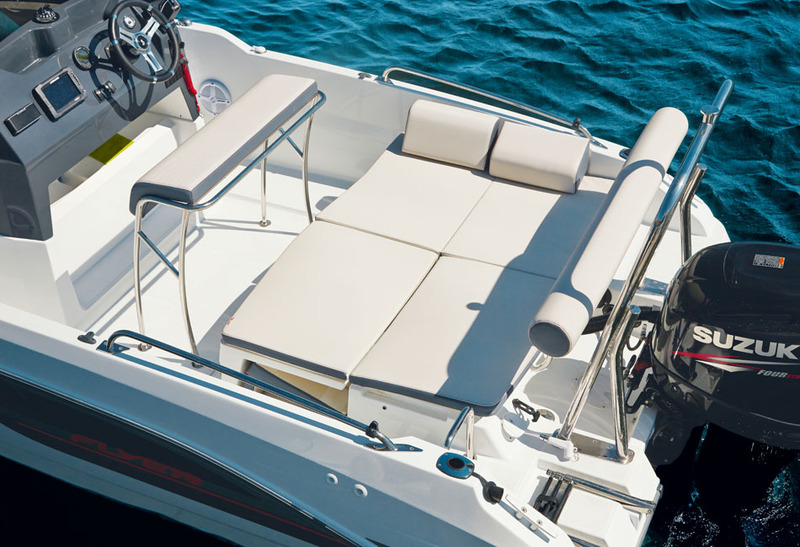 The Flyer 5.5 Spacedeck was inspired by some of the world’s most famous sports cars is refreshingly spacious. 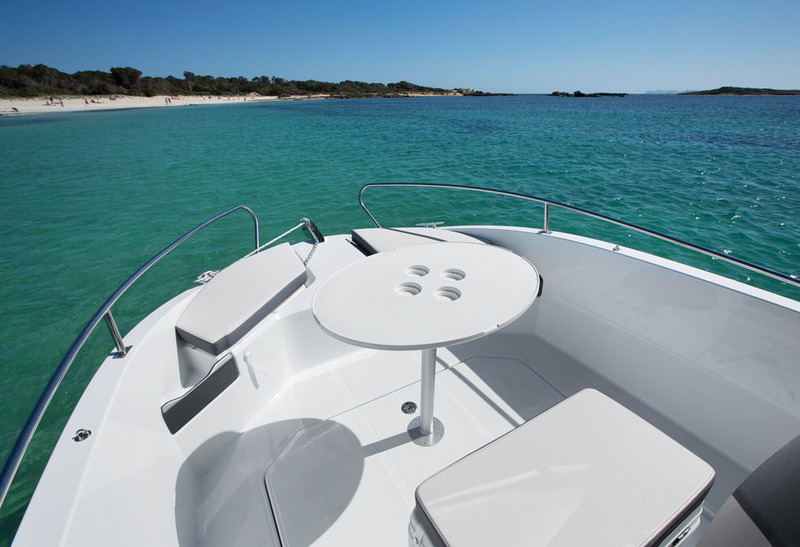 At over 5 meters long, she’s a stunning day boat that can accommodate up to 6 people on board, and she’s extremely portable on a trailer. 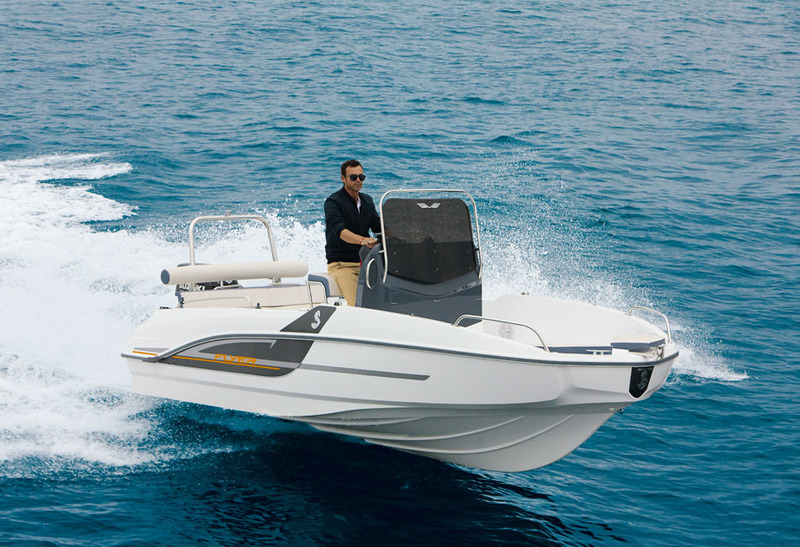 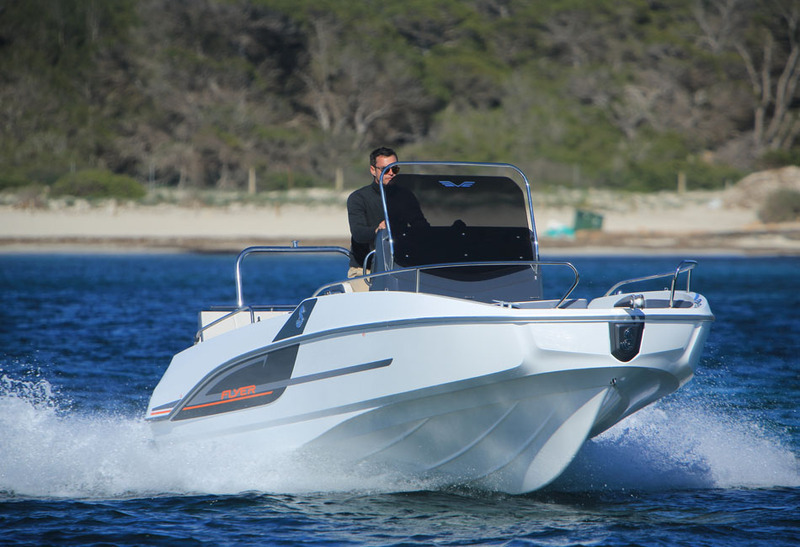 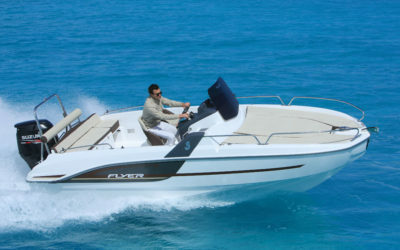 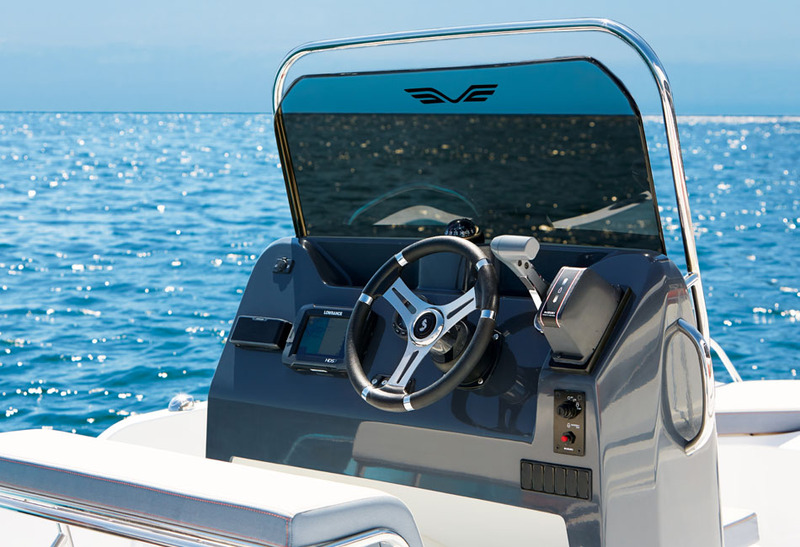 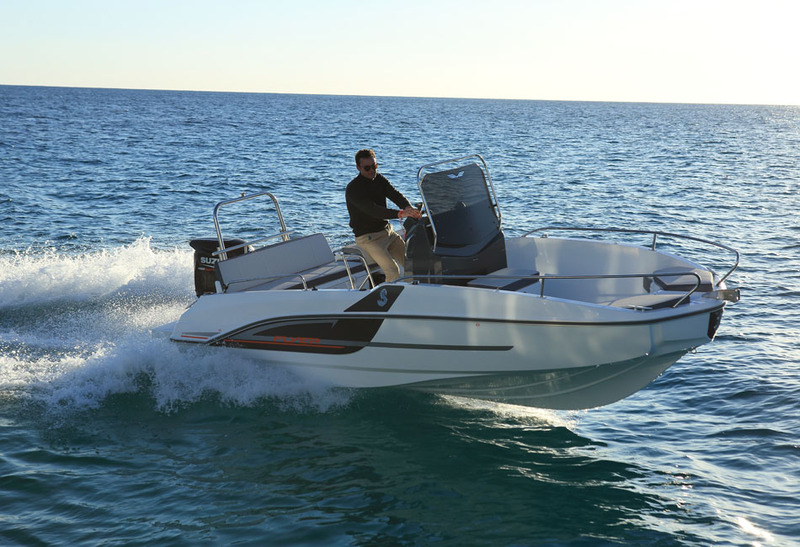 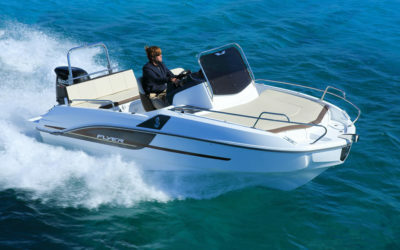 The Flyer 5.5 Spacedeck is the ideal personal speedboat. 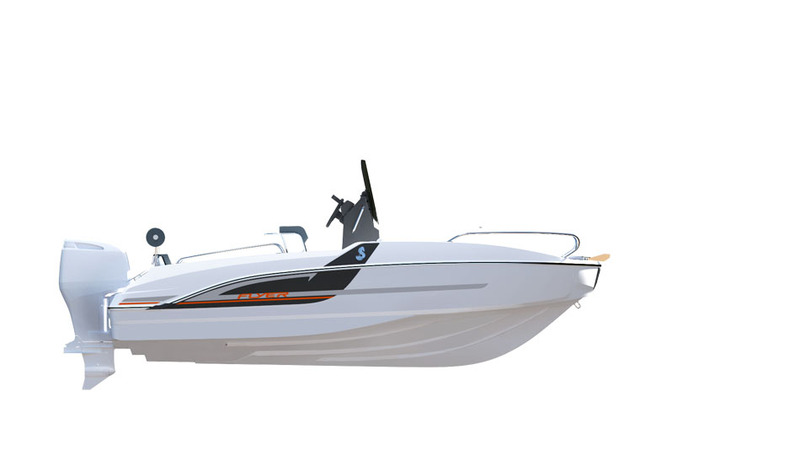 Her sporty silhouette is distinct thanks to the extensive bow, elegant windshield, and lateral struts – plus an orange line, which is the signature mark of the Flyer Spacedeck range. 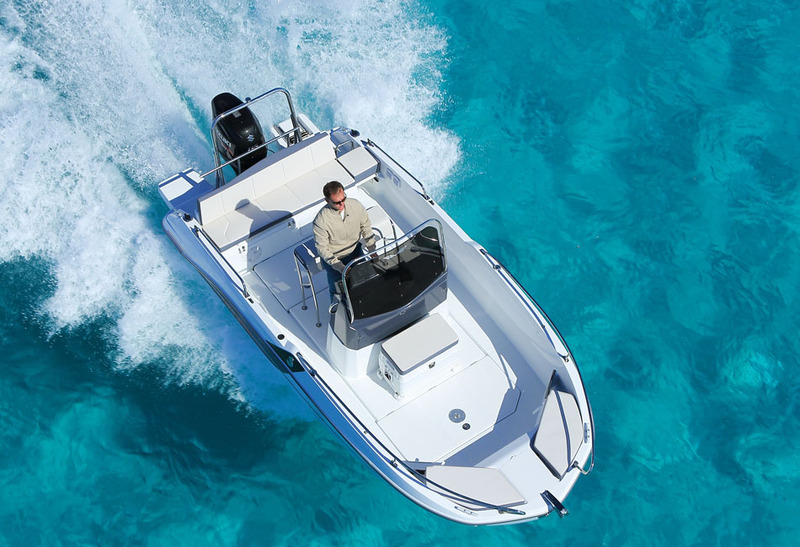 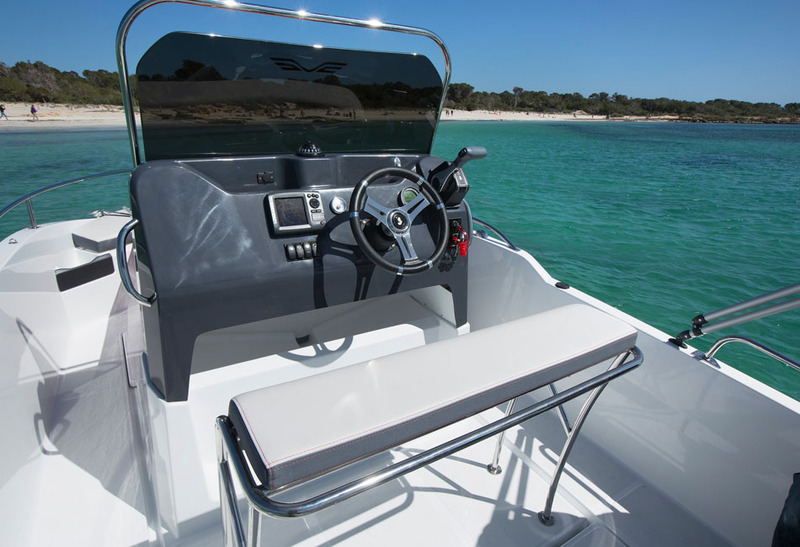 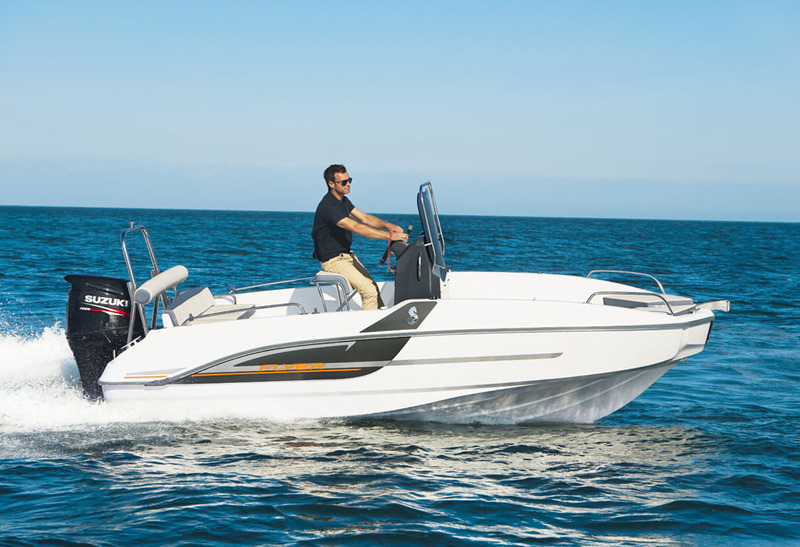 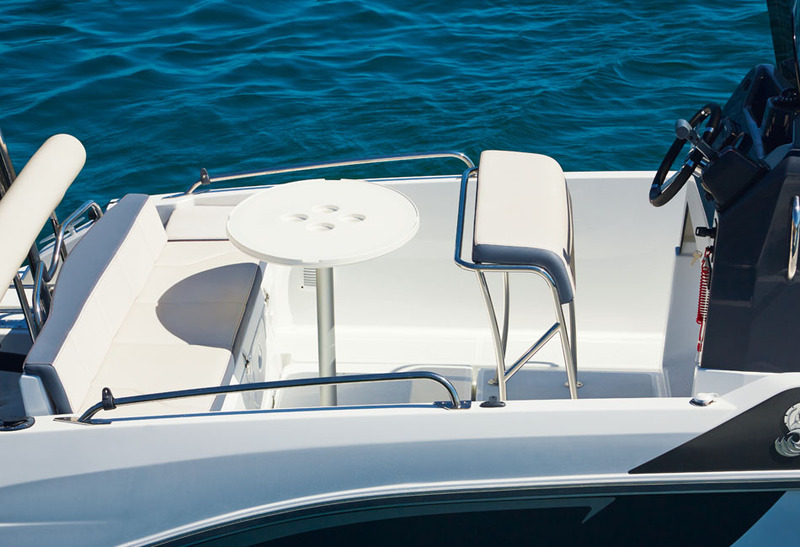 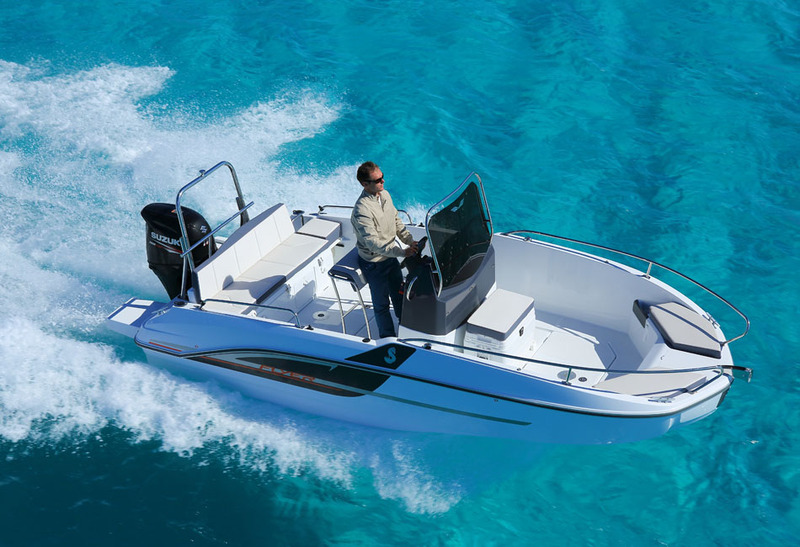 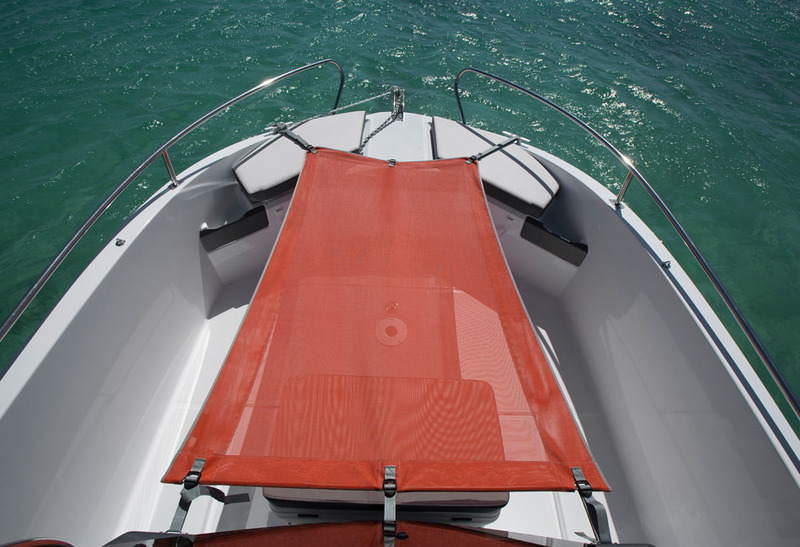 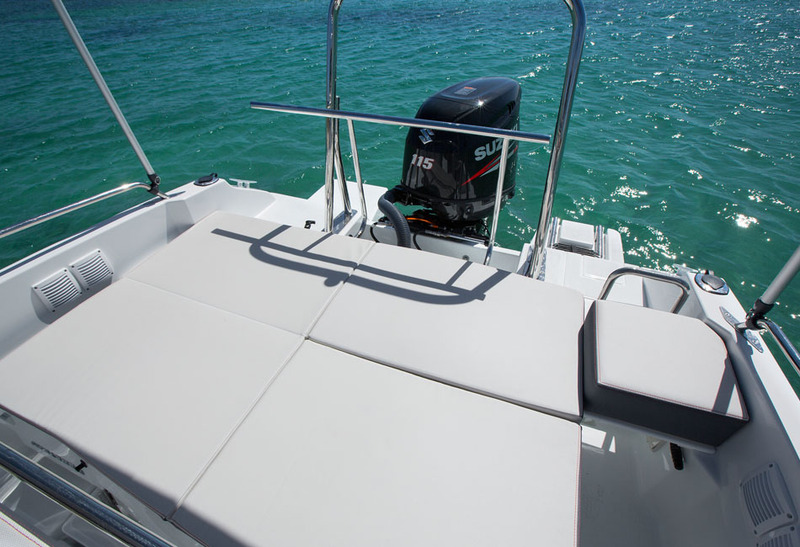 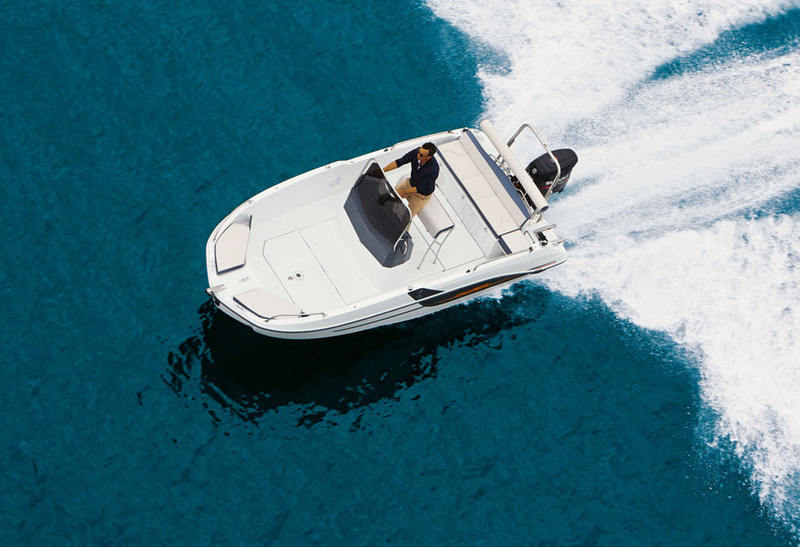 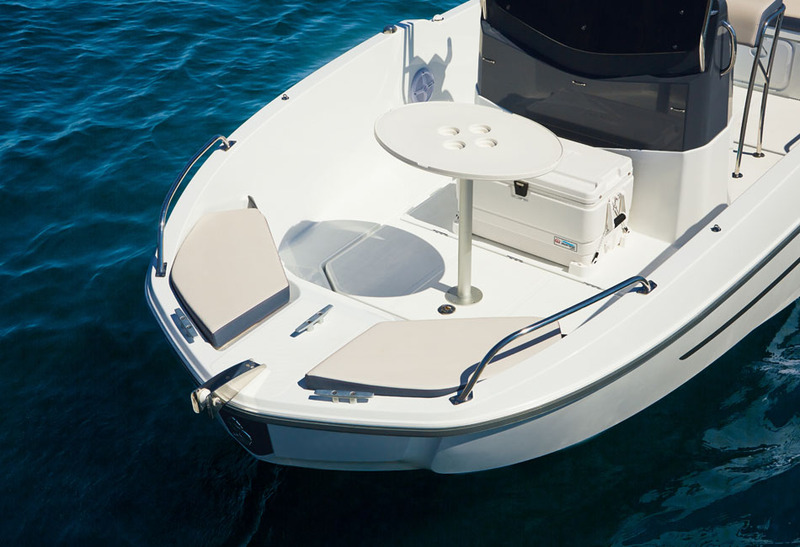 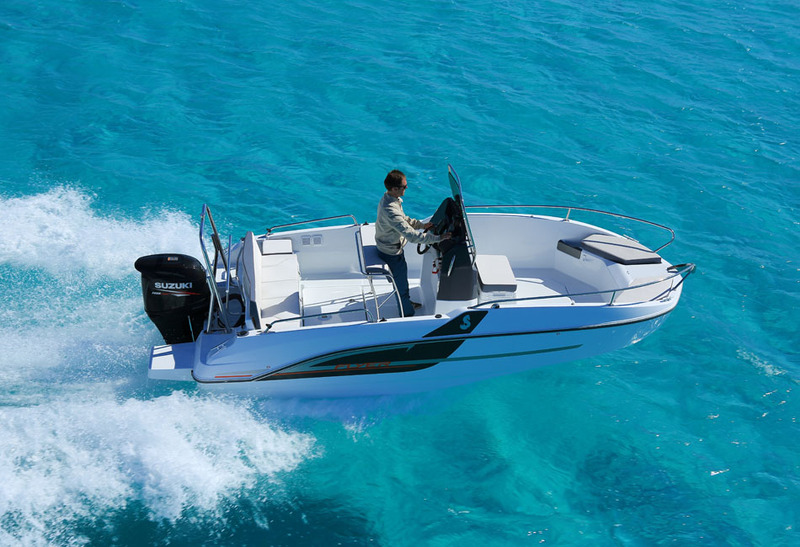 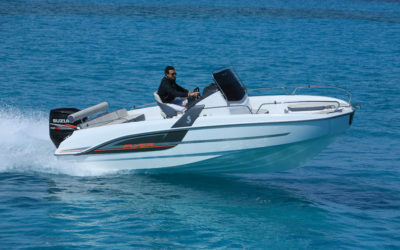 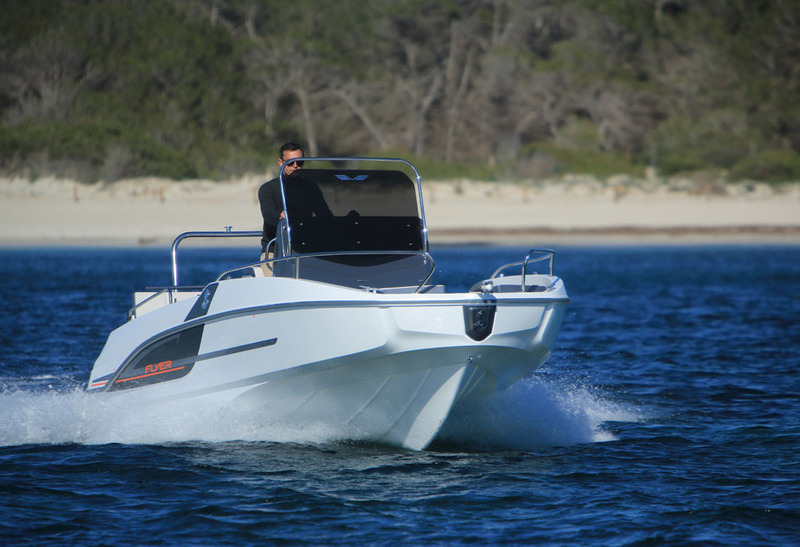 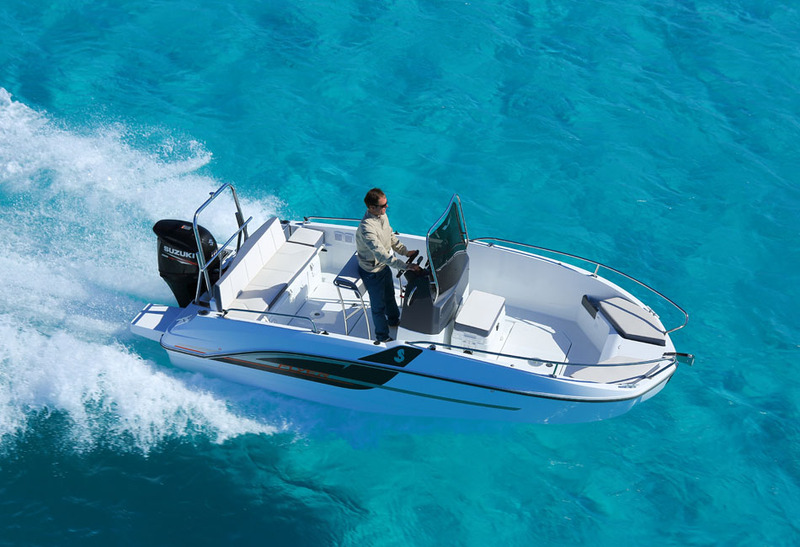 The smallest dayboat in the range is big in features. 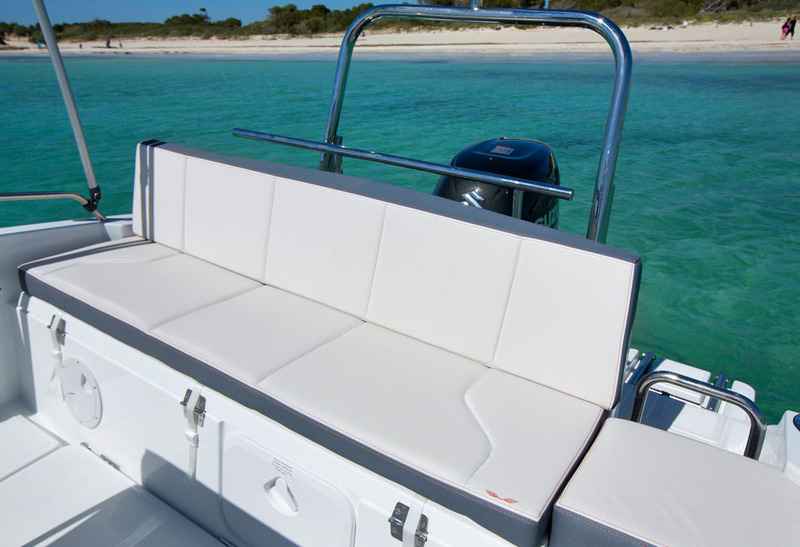 The Flyer 5.5 Spacedeck is equipped with a sundeck, a central console, clear deck, and spacious walkways for easy mobility on board.